Day eight of the Gran Canaria Fronton King Pro 2016 saw the continuation of the mens round 3 in pumping conditions. Day seven of the Gran Canaria Fronton King Pro 2016 saw the continuation of the mens round 3 in pumping conditions. Day six of the Gran Canaria Fronton King Pro 2016 saw the continuation of the mens round 2 in medium sized conditions. Day five of the Gran Canaria Fronton King Pro 2016 saw the continuation of the mens round 2 in onshore wedgey conditions. Day four of the Gran Canaria Fronton King Pro 2016 saw the continuation and wrap up of the mens round 1. Day 3 of the Gran Canaria Fronton King 2016 saw the wrap up of the trials and the first 4 heats of the main event. The second day of the Gran Canaria Fronton King Pro 2016, small perfect conditions met Round 2 for the trialists! 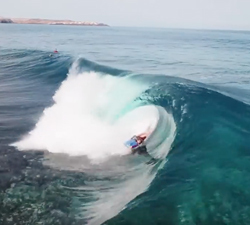 The second chapter from Klak Bodyboard Shop, featuring the riders and waves of the Canarian winter 2016. 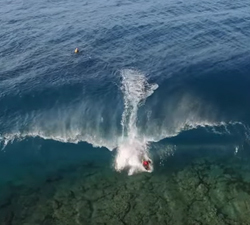 Alisios Mag presents a slow motion resume clip featuring canarian charger Sergio Quevedo. Film: RirawTv and Jesús de León.